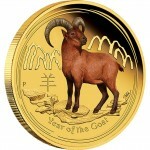 The 2015 Chinese Year of the Goat 1/10oz Gold Coloured Proof Coin is housed in the Stylish p.. 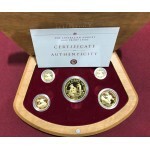 The 2014 Australian 0.5 Gram Gold Kangaroo Coin is struck at the Perth Mint. 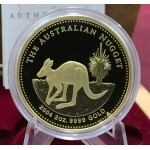 PLEASE NOTE SHIP..
2014 Australian Land Down Under Series 1/4oz Gold Proof Coin - Gold Rush is struck at the Perth M.. 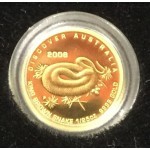 The 2008 Australian 1/25oz Gold Proof Coin - King Brown Snake is struck by the Australian Perth M.. 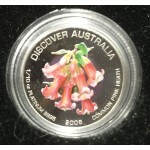 The 2008 Australian 1/10oz Platinum Proof Coin - Common Pink Heath is struck by the Australian Pe.. 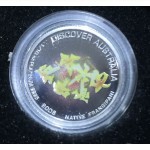 The 2008 Australian 1/10oz Platinum Coin Frangipani is struck by the Perth Mint. Housed in a.. The 2005 Australian 1/4oz Gold Proof Kangaroo Coin is struck by the Australian Perth Mint. H.. 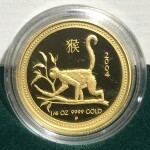 The 2004 Year of the Monkey 1/4oz Gold Proof Coin is struck by the Australian Perth Mint. Ho.. 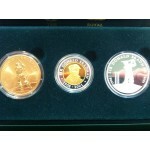 The 2004 Australia 2oz Gold Kangaroo Proof Coin is Struck by the Australian Perth Mint. Hous.. 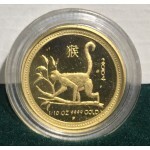 The 2004 Year of the Monkey 1/10oz Gold Proof Coin is struck by the Australian Perth Mint. H..
2001 Sir Donald Bradman 3-Coin Gold/Silver/Bronze Set ..